This event is suitable for all swimmers and all squads, from Junior 1 to Masters! Don't worry if you have never entered this event before - you can take a rest if you want you don't have to swim coninuously for an hour... although some do! 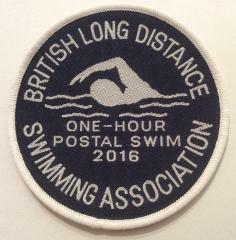 Its called the 'Postal Swim' as your results get sent up by Post to the British Long Distance Swimming Association or BLDSA for short. We are proud to have a number of record holders at Hoddesdon SC who will be once again trying to retain their titles! Please note the BLDSA is run by volunteers so results, badges & medals are usually sent in September.